Tom Damon is on Wendy’s WOW List of Trusted Travel Experts for his expertise and connections in Chile, Ecuador, Peru, and Patagonia. Don’t miss Tom’s Insider’s Guides to Patagonia and Machu Picchu, Peru. Tom was great throughout the whole process. Tom was great throughout the whole process. It’s the accommodations in Puerto Natales that perturbed me. They would not accommodate us for dinner and vegetarian (which we requested was not available). The room was right over a busy street and a glaring sign kept me up all night. Outside of that our guides were wonderful and the trip was a success. The finer details of this trip were much nicer than we could have arranged for ourselves. Tom picked the perfect ship for the Galapagos and arranged the perfect schedule in Peru. Although we have mostly previously been independent travelers, the finer details of this trip were much nicer than we could have arranged for ourselves: a cabin on the La Pinta (in Galapagos) that was convenient and did not lend to motion sickness; really excellent specific hotel rooms (including a few happy surprises in the form of upgrades). Our guide Romulo in Peru was one of the friendliest people we’ve ever met and uniquely positioned to inform us on the world of Machu Picchu (since he grew up there). Very considerate of our abilities but also challenged us. I would also say that the itinerary as a whole was masterfully planned by Tom. He put us in the Sacred Valley in Peru for two nights before we moved on to Machu Picchu. Not only was the hotel amazing (Sol y Luna), and the sights spectacular (I loved the weaving demonstrations and the villages of Ollantaytambo and Pisac and others), but two extra nights at altitude meant we had no real problems with altitude on Machu Picchu itself. Despite crazy high windy roads, our driver was excellent and we never had a moments anxiety. So we had a truly fulfilling trip-of-a-lifetime we dreamed of, unencumbered by illness or discomfort. We really will never forget this or stop talking about it. Tom Damon was great to work with from the first call. Our goal was an active trip to Macchu Pichu and the Galapagos and Tom delivered. Guides were great and luckily in better shape than my wife and I. Thanks to all!! Our trip was excellent. Tom Damon was very knowledgeable: He had recently been to the Galapagos and traveled aboard the same vessel he recommended for me and my two family members who were also on this trip. The Santa Cruz II is the sister ship to the National Geographic Explorer which I had already checked out. We got better rooms on the Santa Cruz II and it cost less than the alternative. Some of the naturalists are freelancers, so we got a naturalist we might otherwise have had on an alternative ship. In Quito, we were treated to what might be called a Wendy Perrin Special Moment. We (just the three of us plus our guide) were taken to the roof of Santo Domingo Church for a tour and heavy appetizers after dark. Two lovely local ladies hosted us (one was the caterer and the other was dressed in local garb). It was very special and exclusive. I don’t know if it was Tom Damon or the local tour guide who made it happen, but it was very memorable. Thanks. We had a wonderful time in Quito and in the Galapagos. Blessed by great weather and very friendly fellow travelers aboard the ship. We had nothing but positive experiences with Tom Damon and his team. Tom spent a great deal of time with us at the beginning, first on a long phone call and then re many emails as we refined the trip and itinerary, which became an 18 day trip to Chile and Peru. Everything was taken care of, including hotels, flights and a private guide and driver in Peru. During the trip, Tom was in touch about several in-country flight changes. Having someone else deal with all of these details allowed us to relax and maximize our enjoyment of the trip. All recommendations were spot on. We had a two week trip to Chile, one week in Patagonia and second in Atacama desert area. All recommendations of hotels and activities were spot on and the trip ran very smoothly. We had never been to South America and this was a Wonderful introduction to the continent. Our 2017 trip had to be canceled at the last moment. We contacted Tom and he immediately addressed our issue and promptly rescheduled our trip for the following year with minimal effort on our part. Now that we have returned from the rescheduled two week trip to Patagonia and have had time to reflect on the majesty of the experience, we’d like to take this opportunity to thank Tom for his support and share some comments. Tom listened to our needs and wants and architected a super trip that touched on every one of our requests. The areas we visited, the lodges he selected to include ideal rooms and cabin locations, the transportation between venues (both plane and car) were all perfect and the logistics executed flawlessly. The local guides picked by Tom were all very professional, friendly and tireless in their efforts to share with us the history of the area. We can’t imagine a better way to experience Patagonia than the trip itinerary laid out by Tom. Lastly, Toms team came to our aid at the very end of the trip when the homeward flight we booked was suddenly canceled. His team negotiated with the airline staff on our behalf and secured hotel space, meals, and local transportation. The last thing you want after enjoying a wonderful trip is a hassle trying to get home. Many thanks, Tom and yet another “trip of a lifetime” created by one of Wendys talented TTEs. Tom Damon does it again! After having to cancel our trip at the last minute, he helped us reschedule for our next available dates. Our trip included our first ever WOW Moment. We had Max the driver for our entire trip and he was wonderful. Our two guides were smart, knowledgeable, and offered their personal experience which added to the experience. We spent a few days with Valparaiso as our home base. Our hotel was an amazing boutique property set in the hills with a room overlooking the port. Tom arranged some great lunches where we got to enjoy local food and wine. From the city, we went to the wine country and visited three different valleys and had private tours at two vineyards and a gorgeous lunch overlooking the countryside at Vina Vik. Our second hotel contained a museum and we could peer right inside from the atrium outside our door. We then moved on to Santiago and had a tour of the major sites and took the cable car to the overlook to see the city. Santiago is a big bustling city, but old city areas are very walkable and have the Pre-Columbian Museum which is a must see. We had reservations at Restaurante 99 and Borago, both on the World’s Best list and specializing in Chilean Cuisine. The last day our driver picked us up for our surprise WOW Moment. We were treated to a private-chef-cooked lunch at Motemei. The chef created a 6-course meal right before our eyes. It was an amazing experience! (Thanks, Wendy and Tom!). Brian McCaffrey – May 2017 – Peru including Puerto Maldonado, Cusco/ Sacred Valley/ Machu Picchu, and Lake Titicaca. Travel was a two-person trip with an accent on active experiences such as hiking and sea kayaking. Tom worked with us to construct a tailored itinerary for a two-week adventure-filled trip. The in-country experiences were extraordinary in all aspects – we stayed at beautiful properties, the guides and drivers were knowledgeable and friendly, and the individual unique experiences we planned were incredible including a cooking class in Cusco, a stay in a tree house one night in the rainforest, and a 2.5 hour sea kayaking excursion on Lake Titicaca. Due to a late schedule change, Tom needed to advance the entire trip itinerary 2 weeks. He successfully rescheduled everything and still got us into his preferred properties. We thoroughly enjoyed our visit to Peru and would use Tom again to plan our next adventure to South America. Here are the reasons we like how Tom arranged our trip. 5. Quality and service of Tom’s partners are excellent in South America. Tom Damon and his team’s attention to detail was comprehensive and made us feel well looked after ( or as my wife said, we were treated like children which were not a pejorative assessment just that the guides and the ground operations were terrific and flawless ). Tom Damon was a superstar from planning to execution. Tom listened carefully to what was important to use and designed a trip that was perfect for us. Our guide who accompanied us through Sacred Valley and Machu Picchu grew up right outside of Machu Picchu Pueblo and had worked with archaeologists at the site. His knowledge of the history, culture, and location added so much to our overall trip. We had the best drivers, which was important with all the mountain driving. Our hotels were top notch and we even were upgraded at a few sites. He even secured reservations to Astrid and Gaston. Along the way, we had a few hiccups in the plan, and Tom and his team were right there to help us. We would take another trip with Tom and his team in a heartbeat. Tom is the best. I’ve done two trips with him, to Peru and Patagonia. My daughter and I are hiking fools, and it Peru, he sent us on a gorgeous trek so remote that in three days, we never saw another tourist. Then we joined the busier Inca trail to approach Machu Picchu from the Sun Gate, a view you will never forget. 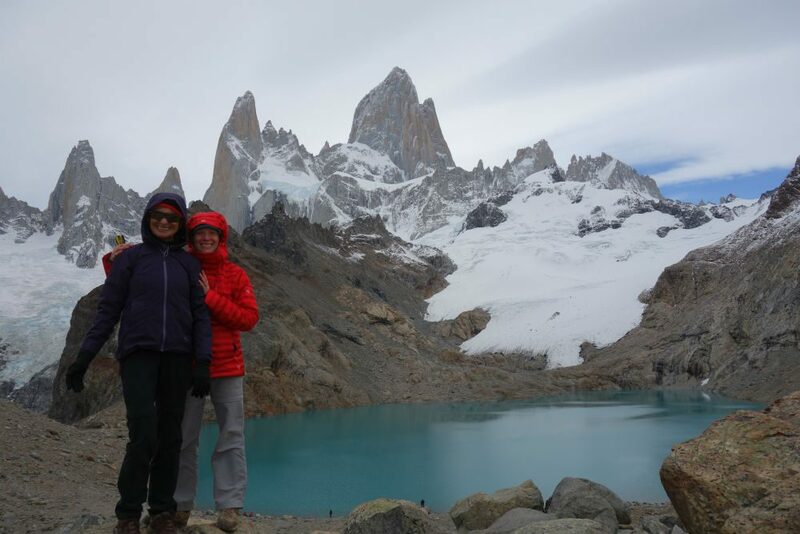 In Patagonia, our two-week itinerary through Argentina and Chile was faultless, seamless. When things run that smoothly, you don’t always recognize how much effort it takes to make everything look so easy. When an East Coast snowstorm blew away my homebound flight, Tom was on top of it, rebooking me on a new flight a day later before all the seats disappeared, arranging for a memorable day of sightseeing in Santiago, and even securing a refund from my original airline. South America is neglected by U.S. travelers; don’t discount its vibrant cultures and extraordinary scenery. When you book your trip, use Tom! Great trip from start to finish. Our trip was three weeks in South America during January 2017. Fly fishing in Patagonia, Volcanos in the Lake District, Easter Island and a land based Galápagos Islands stay. The drivers and guides were knowledgeable and a pleasure to be with. We received some very disappointing news from National Geographic/Lindblad last Friday. They contacted us to confirm that the upcoming (1/26/17) Antarctica trip had been canceled as the Orion suffered main engine failure. This also necessitated canceling our Patagonia trip booked with Tom Damon, Southwind Adventures. Happy to report that Tom provided truly outstanding support. Despite the Holiday period, he immediately responded to our email. He explained our options, offered to re-book and sent a revised proposal for our new travel dates. Tom eased our pain, guided us through the options and provided us with first rate professional support at a time of frustration. Yet another reason why your Trusted Travel Experts are the very best. Continued thanks for supporting our travel ventures. When I first contacted Tom, I was considering a trip to Patagonia. We had only a week, (thanksgiving week), and after our conversation he thoughtfully suggested Ecuador and the Galapagos islands. I did not realize just how far Patagonia was, and we would be spending quite a bit of time traveling to and fro with little time just enjoying the country. Patagonia just requires a longer trip… So once I came to that realization, I asked Tom what he would suggest for our family, and he suggested Ecuador. It turned out to be a great suggestion… flights are no longer than Europe, and for us, the time change was 3 hours, which is much better than 9, so no jet lag. We ended up taking the Eclipse on a week long tour of the Galapagos. We had so many pinch-me moments from the ship, to the sunsets, and most importantly, the wildlife!! I would definitely recommend Tom for South America trip planning. In fact, we are thinking about Peru for this summer. Just back from Argentina, where Tom Damon arranged a fantastic few days for us. Some of my favorite hikes of my life, which is saying a lot (Dolomites, Kauaii, Cape Breton I., etc. ), with a fantastic local guide. Good hotel choices, outstanding recommendation of where to go in S. America. Super patient and expert to work with. Really outstanding! Thank you for adding so much to another amazing experience for us, Wendy! Truly amazing on every level. Tom Damon did a great job in planning this 9-day trip for us: Lima, the Sacred Valley, Machu Picchu and Cusco. The accommodations, meals and transfers were all first-rate, but the highlight of the trip was the top-notch guides Tom arranged for us: warm and welcoming locals whose graciousness was only exceeded by their deep knowledge and passion. Thank you Romulo, Miguel, Erika and Erika! We especially enjoyed the one-day hike on the Inca Trail to Machu Picchu and highly recommend it — and Southwind Adventures — for anyone considering such a trip. Truly amazing on every level. We learned and experienced so much. Tom Damon and his staff were great from the planning through to the execution. Given the parameters of it being an active family trip with 2 teenagers, Tom created an itinerary that kept us busy and engaged throughout the week. The sites chosen were perfect, the tour guides were terrific and the accommodations were fabulous. We learned and experienced so much. We would definitely use Tom Damon and his team again when planning our next trip to South America. Tom Damon and his team did an excellent job in planning and executing our trip to Patagonia. They listened carefully to what we were interested in and quickly reserved hotels/resorts and guides that fit our needs. The air travel office was very quick to respond to an unexpected international flight delay. They rearranged connecting flights and transfers without a hitch. Tom Damon did an excellent job of taking the time to understand my travel style, listening to my interests and concerns, and then customizing a trip to Peru for our group of six that was truly extraordinary. Tom and Cynthia (who assisted with the coordination) were very accommodating throughout the planning process as we went through several tweaks to the itinerary to get it just right. This was my first time using a Trusted Travel Expert and I felt they were invaluable in the planning process, saving hours of time in research. Our trip was the perfect balance of luxury and adventure. The quality of the guides, tours, hotels, and meals all were top notch and spot on. There were many transfers throughout our trip and the coordination and support we received while in Peru were all seamless. Tom helped us plan a trip to Peru that we returned from a couple weeks ago. We wanted to experience Peru on a very personal level by interacting with the people of Peru through service as well as experiencing the beauty, climate and culture as tourists. Tom planned a trip for us that exceeded our expectations in every way. Our trip truly could not have been planned or executed any better. Tom nailed everything from the big-picture flow of the trip right down to arranging meaningful service experiences. It was exactly the kind of experience and adventure we were after and every part of the trip was much better than we had even hoped. We were amazed at the beauty and the variety of Peru and our personal contact with the people of the Sacred Valley was incredibly impactful. As advertised, Tom’s staff in Peru took great care of us. We were accompanied by guides and drivers throughout the duration of the trip who were incredibly knowledgeable and personable. We learned so much about the culture, climate and history of the country and became very fond of our guides and even our driver. Every detail was considered and our travels were safe and stress-free. We highly recommend Tom Damon for anyone planning an adventure trip to South America! Tom Damon did an outstanding job making the arrangements for our trip. We had a couple of unusual issues arise, but he took them in stride and handled them efficiently, never losing his cool as a result of our changing our minds from time to time. He was always available on short notice during the planning process. His guides were outstanding, particularly Rosie at Machu Picchu, and the accommodations met or exceeded our expectations. Traveled in mid-March 2015 to Lima, the Sacred Valley, Machu Picchu and Cusco. Our experience with Tom and the team on the ground in Peru was first-rate and seamless. During the planning process, Tom was very attentive to our special interests and the ways we liked to spend our time. This was a very rewarding dialogue as our experience was at once rigorous, and culturally and historically enriching. I would highly recommend Tom and his team to create a memorable time in this beautiful and friendly country! We just returned from a custom tour of the Sacred Valley and Machu Picchu and Iguazu Falls arranged by Tom (February, 2015). While February is considered rainy season, we had good weather with very little rain only at night. Everything was just perfect and the execution by the staff was flawless for the entire trip. All of the guides and accommodations were first-rate. We would highly recommend Tom Damon/Southwind Adventures.